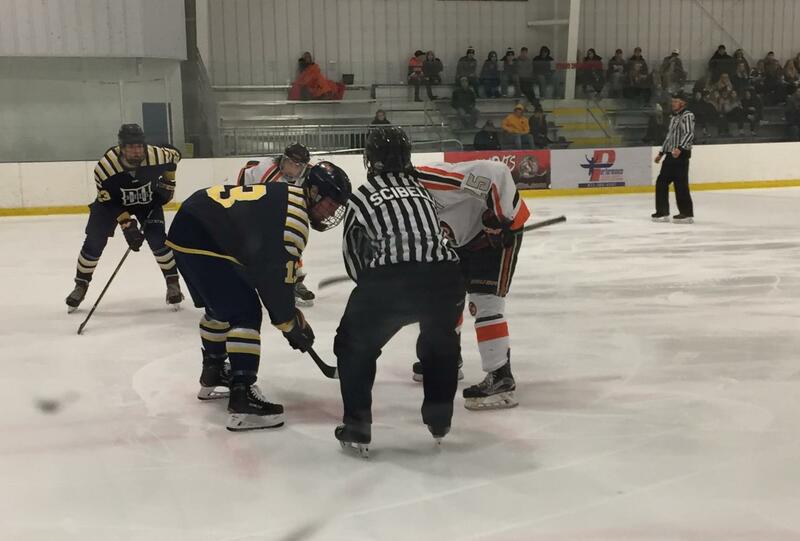 The William Paterson men’s ice hockey team was shutout against Drexel on Friday night in Wayne. The Pioneers couldn’t get anything going offensively against the Dragons and goaltender Jeremy Wik, who recorded a 39-save shutout. For most of the game, the Pioneers rush was thwarted by either themselves or the tight defense of the Dragons. Many plays were broken up because of mishandled passes or not winning the race to the puck. In addition, Drexel played a tough game and defended its blue line very well. William Paterson struggled to gain zone entry and, when it did, the attempt was short-lived. However, the physicality was high for both teams. Pioneers defenseman Walter Keiper in particular was a major presence with a few early hits in the game. There was a shift in the first period where he had multiple hits, including a bone-crushing pin against the boards. There were times throughout the game when the Pioneers had good pressure. On the power play in the third period, the Pioneers had a few shots on net and were making Drexel’s defenders scramble in the zone. The Pioneers played their best hockey in the third period. There were some offensive chances, simpler plays were made and the team as a whole looked more comfortable on the ice. For the start of the third period, Ballance pulled starting freshman goaltender Jeremy Hamerquist and put in senior Nathan Leo. The senior was called upon early in the period as the Dragons had a 2-on-1 opportunity off a fast break. Leo committed to the puck carrier and then slid across the crease when the pass was made to make the save. Leo stopped all of the shots he faced in the third and appeared calm in a situation where other goalies might struggle. Overall, there was no shortage of shots to the net for William Paterson, but the quality of those chances was what was lacking. The Pioneers won a game at Drexel earlier in the year by a score of 5-4 in a shootout by getting bodies and pucks to the net. Being physical in front of Wik is how they won that game, but they didn’t do that on Friday. Drexel is currently the No. 1 team in the conference and it showed with how well it adjusted from the loss to William Paterson earlier in the year. The Pioneers are in their final home stretch of the season with three games in as many days before heading to Lehigh University on Feb. 16 to finish their first regular season in the Eastern Collegiate Hockey Association.